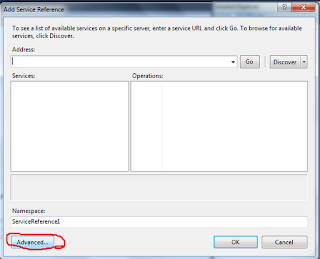 In this article we will discuss how to user search web service in SharePoint 2010. We will search by using SharePoint search web service. Also you can check about FAST search here. 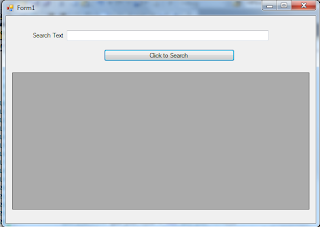 SharePoint 2010 search is very useful and advanced in SharePoint 2010. For this demo we will use client object model and we will bind the search result to a datagridview in a windows application. You can put a Textbox where user can put the search text, a button and a datagridview where user can see the search result as output. see the figure for reference. 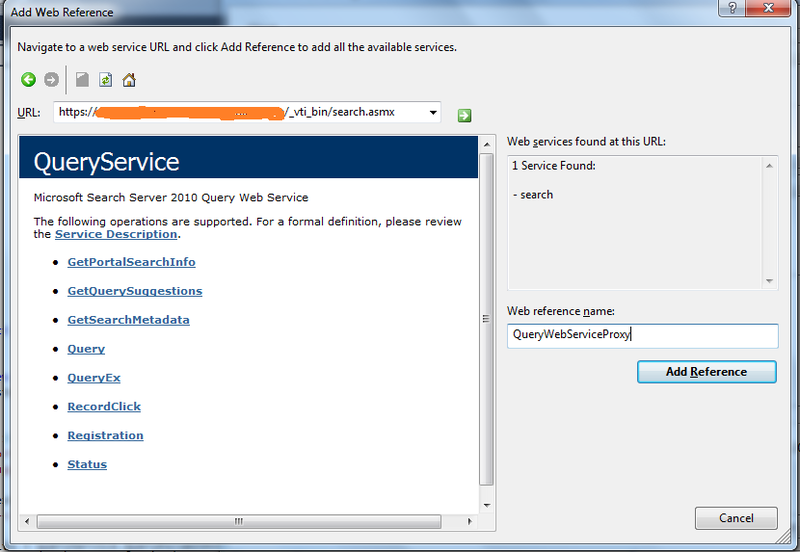 In the next step we need to add reference to the web service. 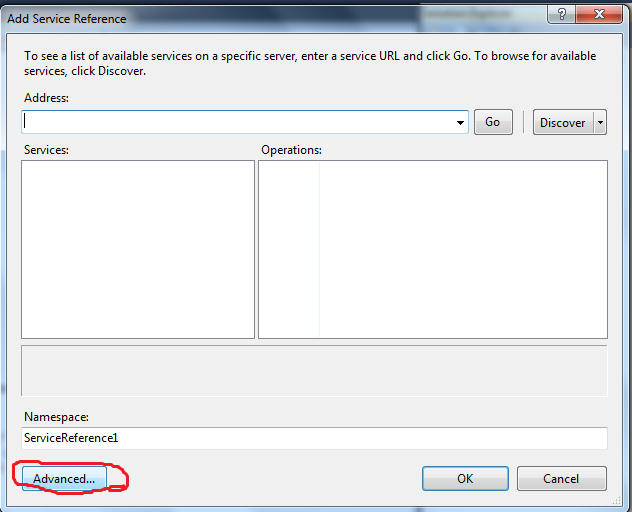 This will open the Service Reference Settings dialog box, from there click on Add Web Reference... as shown in the figure below. 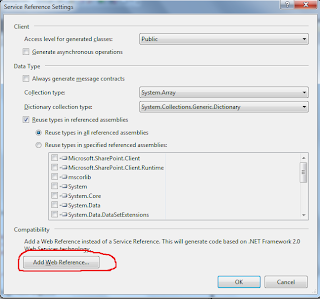 The above step will open the Add Web Reference dialog box. This finishes our reference to the web service. Now open the Button click code. 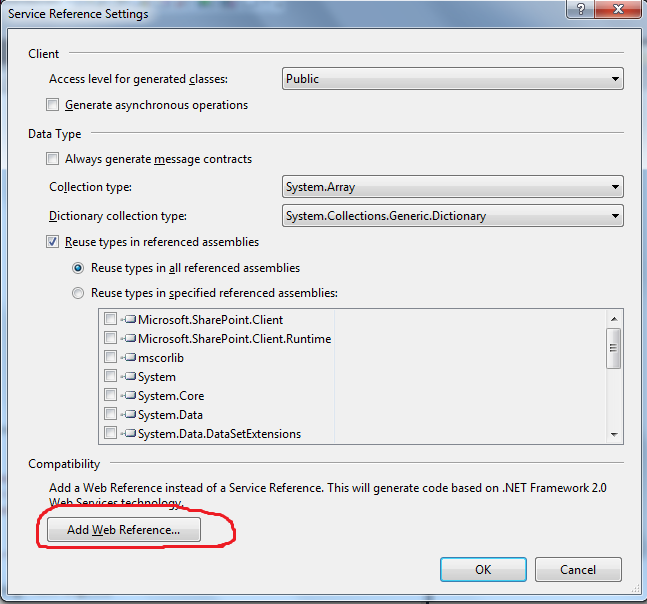 Here we will use the QueryService class and pass the DefaultCredentials as the parameter. 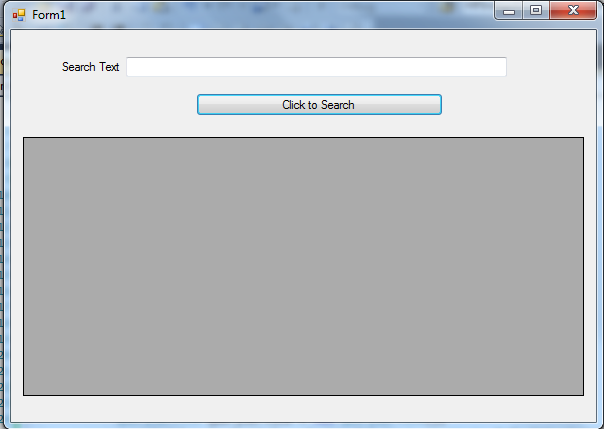 Then it will take an XML as an search input parameter which is shown in the full code below. Then here in this example we are calling the QueryEx method which returns the results as a DataSet. 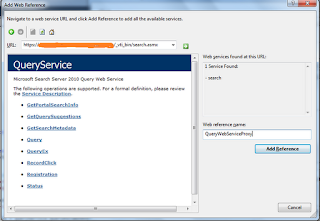 We also can use Query method which returns results as an XML document.